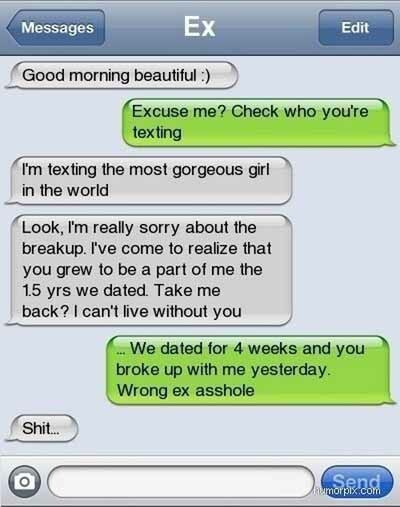 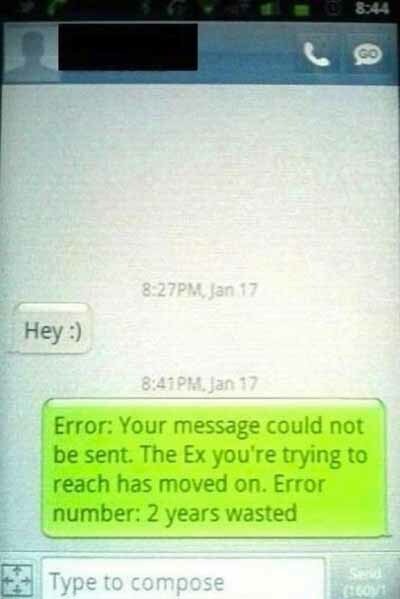 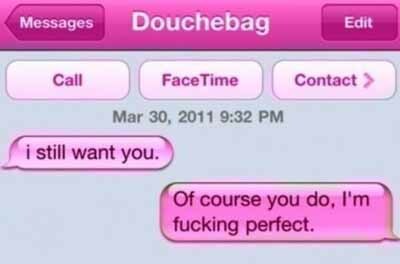 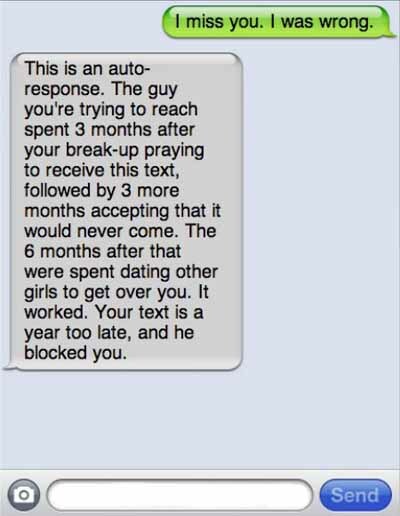 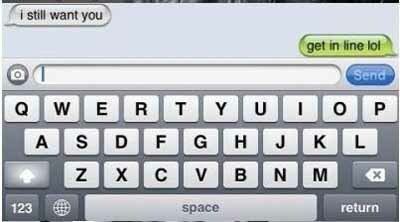 Getting an ex text can be a good or bad thing. 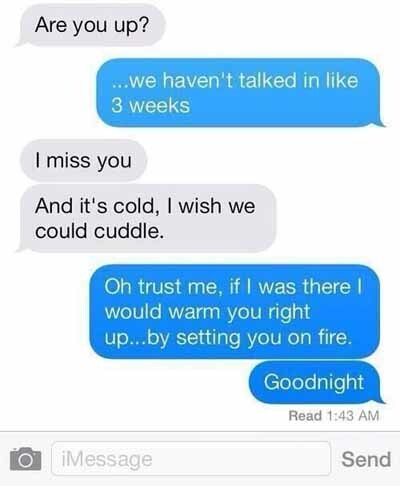 It's good if you actually want them back and aren't completely ready to kill them, or it can be a bad thing if they broke your heart and you want nothing to do with them but set all the clothes they left at your house on fire. 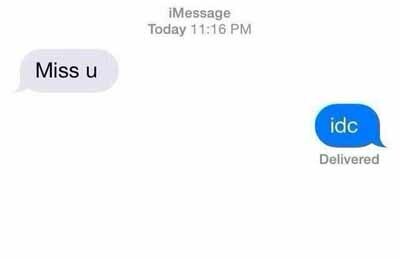 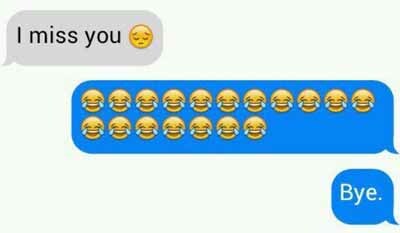 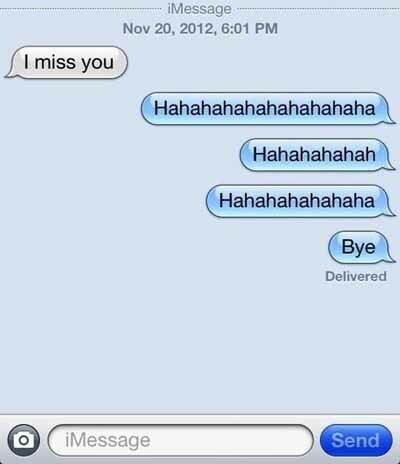 Usually it's the latter, and when people get ex texts it can bring up some pretty bad memories. 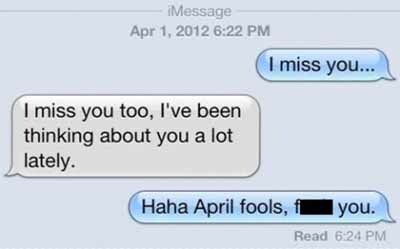 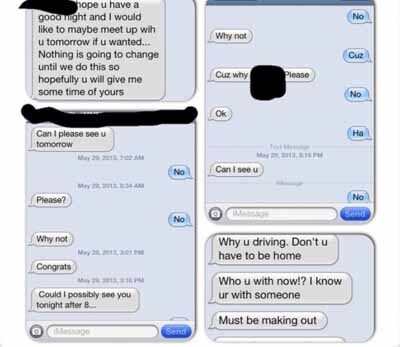 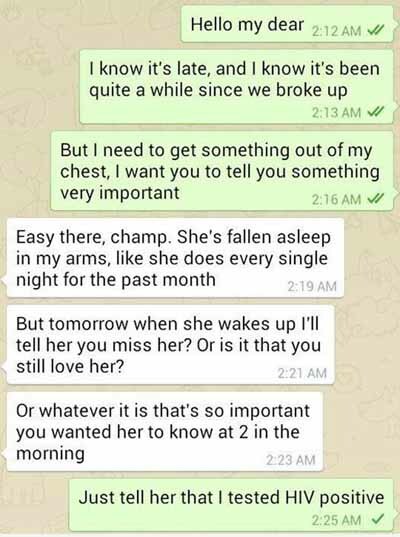 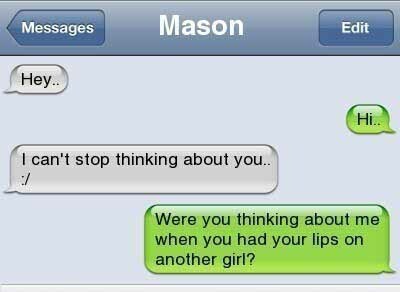 But, from those bad memories and resentment can cause some pretty funny and awesome responses to ex texts, like the ones in this gallery. 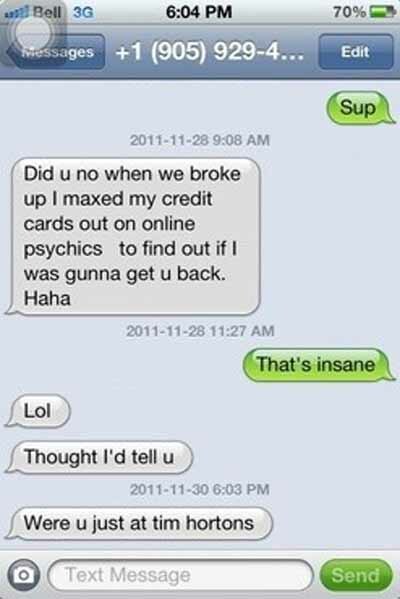 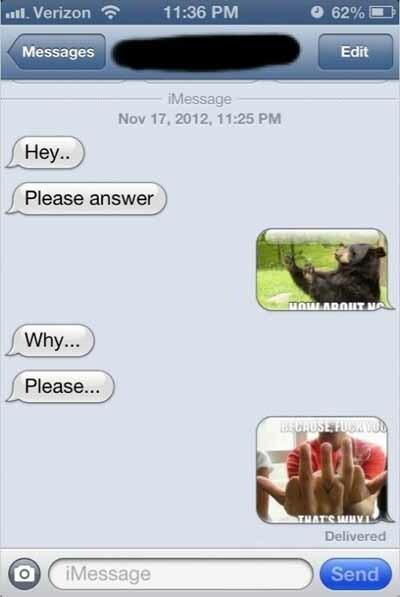 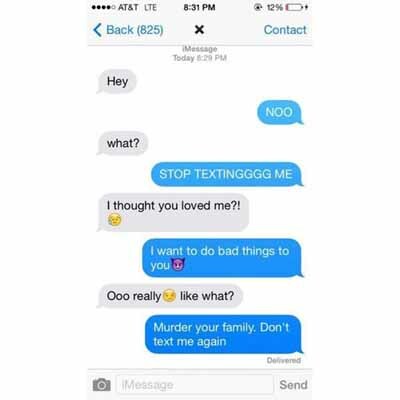 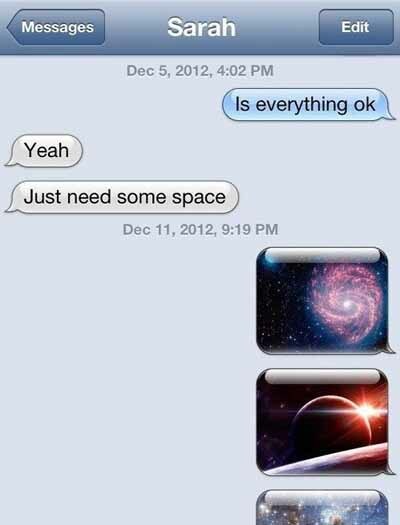 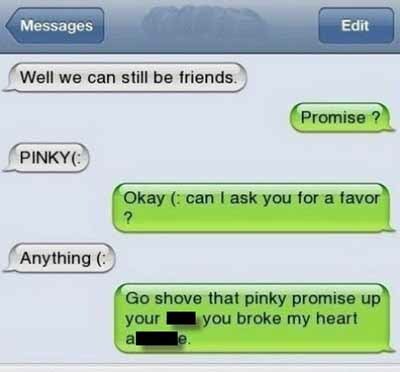 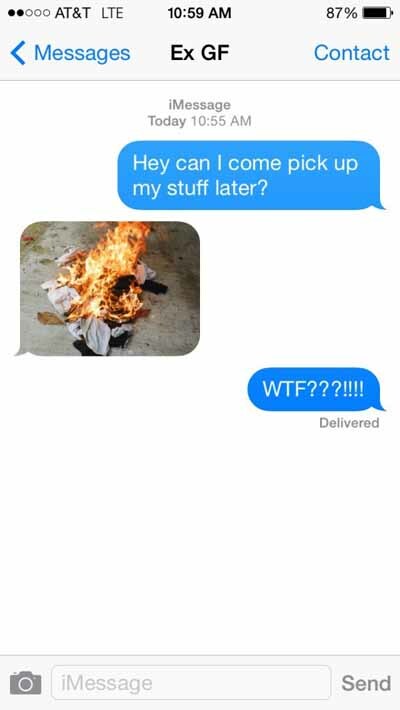 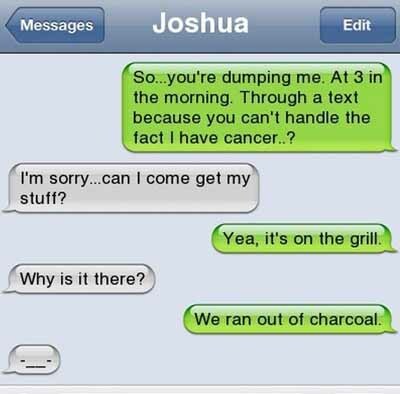 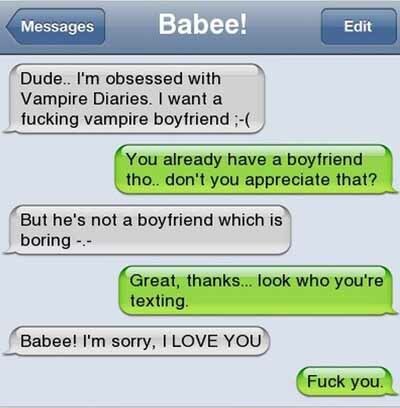 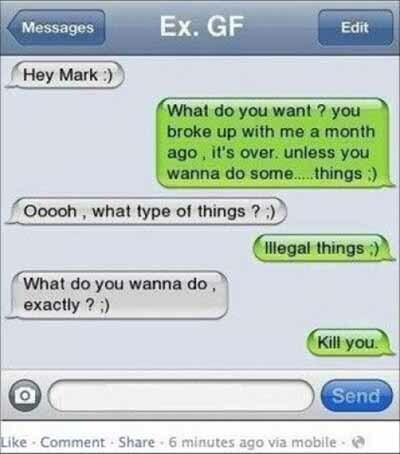 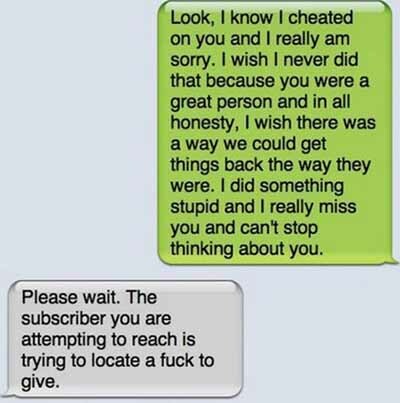 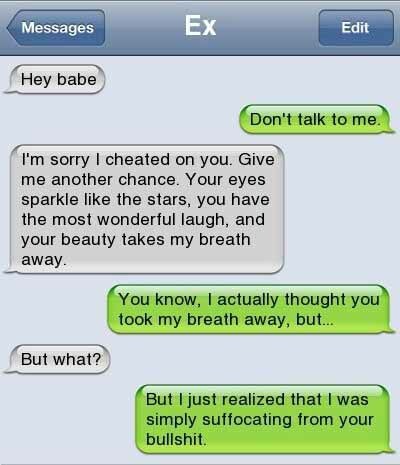 These 39 ex texts are pretty badass. 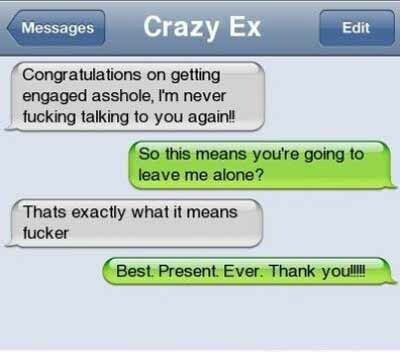 They're clearly written by people who no longer give a $^&*, which means that they do not hold back what they're really feeling. 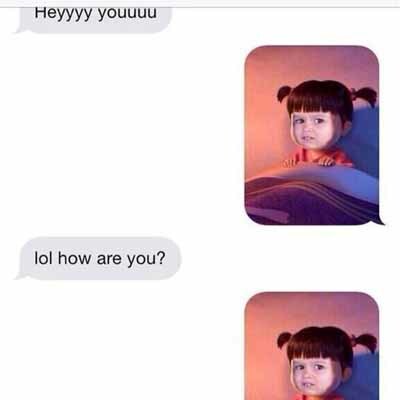 Our favorite ex texts are the ones where people only respond via memes, like one guy did. 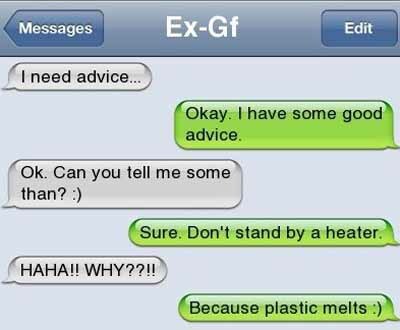 Or what about the one where the ex just started laughing to get her their point across. 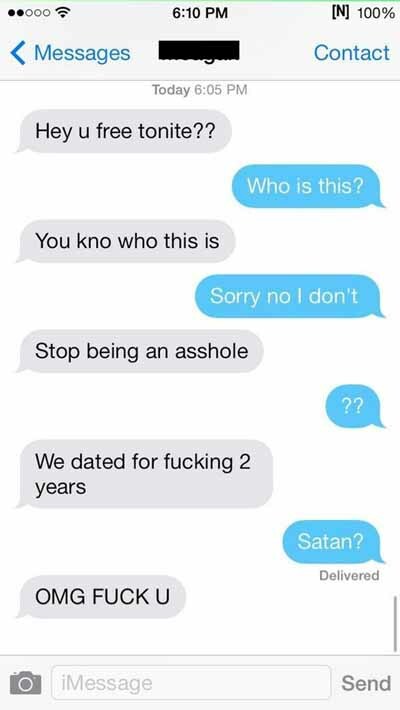 Or the one who used a really a really creepy image of a girl to respond to their ex. 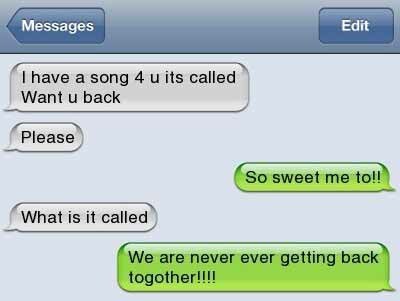 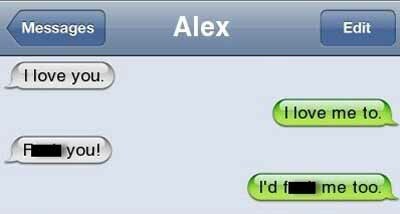 Our favorite ex texts, however, are the ones where the one ex doesn't remember who they are texting...you want to cringe just reading those!